The Department of Premier and Cabinet (DPC) developed a multicultural policy to build on Victoria’s proud immigrant history and reaffirm the shared values that make us a stronger, safer and a more harmonious community. 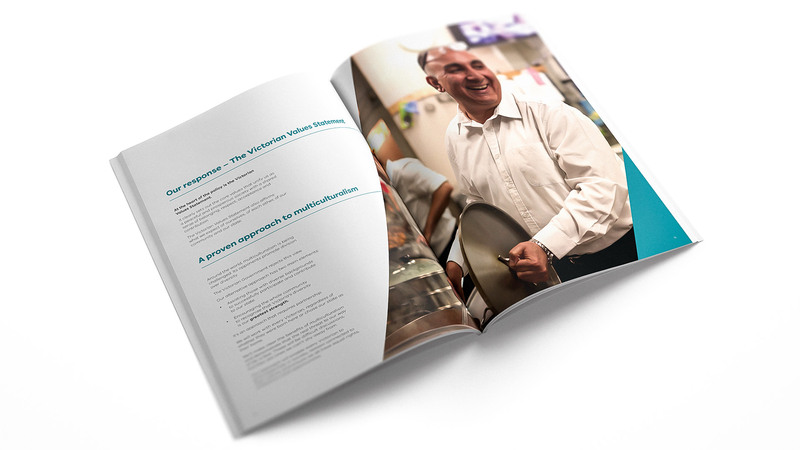 A series of initiatives were designed to encourage Victorians – from all walks of life, all circumstances and all cultural backgrounds – to contribute and belong. The DPC wanted to get this important "Victorian. And proud of it." message out through activation of multiple channels including advertising, event activation and online engagement. PENSO designed the campaign brand and delivered key “digital first” communication assets to drive campaign awareness and user engagement. 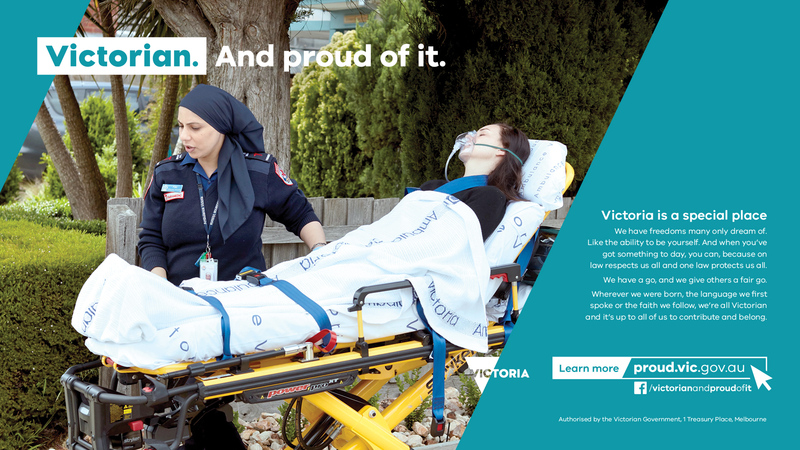 The work included art direction for the campaign and the overarching brand look and feel for all campaign elements across digital, print, TV and OOH, plus production of the interactive hub, proud.vic.gov.au. The interactive hub, designed and developed by PENSO in a short timeframe, is the cornerstone of the campaign. 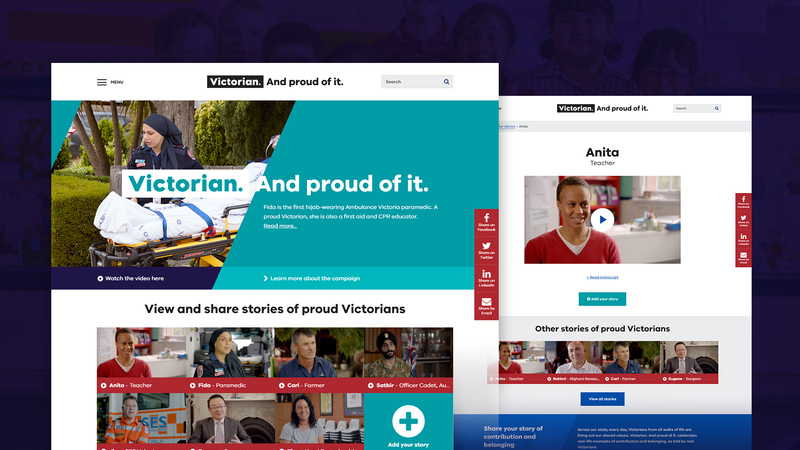 The hub enables the Victorian public to share their own stories of why they are Victorian and proud of it. PENSO developed easy-to-use custom software so the public can easily upload video stories, audio recordings or text with a photo. The stories could then be shared via social media channels including Facebook, Twitter and LinkedIn. 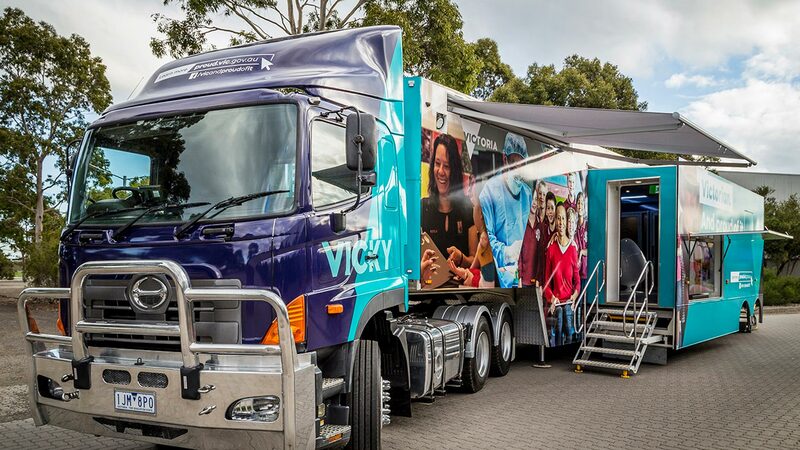 PENSO also created the technology for the public to record video stories from the campaign education truck, “Vicky” when the truck visits fairs, shows, schools and events around Victoria. This technology enabled video content recorded by the public on the truck to be sent to the website for publishing. Initial campaign launch has achieved excellent awareness and engagement with more than 50,000 website interactions, over 600,000 digital advertising impressions and more than 1,000 “likes” on Facebook alone. Multi-channel advertising and communication continues to drive traffic to the interactive hub designed and developed by PENSO. ANZ wanted to deepen the quality and breadth of relationships with existing business customers and give SME’s the confidence and understanding of how the Australian Federal Budget would affect them, while recapping the top opportunities that mattered the most.